Posted 21st June 2016 & filed under Blog, Employment, Housing, Intergenerational Justice. IF has adopted a neutral stance on the upcoming referendum on Britain’s membership of the European Union. However, we do believe strongly in two things: firstly, as many young people as possible should be encouraged to exercise their right to take part in the vote; and secondly, it is worthwhile examining the key arguments which are being put forward about how young people might be affected in the event of a “Brexit” scenario. Therefore IF was recently interested to learn that another think tank, the Centre for European Reform (CER), has argued that Britain’s young people are the ones who would have the most to lose in the event of a Brexit. How reliable is this claim? In a nutshell, the idea which the CER has put forward is that Brexit would be extremely likely to cause a recession in Britain, and since there is a strong weight of evidence to suggest that young people suffer disproportionately whenever recessions occur, they would have the most to lose from such an outcome. Looking at part one of this claim, there is undoubtedly a virtual consensus amongst important economic bodies that Brexit would harm Britain’s economy, at least in the short term. 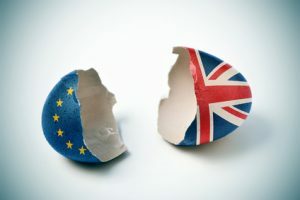 The International Monetary Fund (IMF) recently published an official projection showing that they think Brexit would lower Britain’s GDP by 5.6% by 2019, echoing a string of previous negative economic pronouncements from the UK Treasury and the OECD. Although pro-Brexit campaigners have continued to argue that the long-term impacts of Britain leaving the EU would be beneficial to the UK economy, all of these bodies have argued that it would almost certainly cause a recession in the short term. In making their argument, the CER have pulled together evidence on the disproportionate impacts which the post-2008 recession had on young people compared to older members of the population to argue that the same thing would inevitably happen again. Specifically, post-2008 youth unemployment rose to a level that was nearly four times higher than general unemployment; young workers who did have jobs witnessed the biggest falls in their incomes of any age group, and there is evidence to suggest that joining the labour market during a recession has a “wage-scarring” effect, which means that those young people’s income will be permanently lower than it would have been otherwise throughout the whole of their career. If Brexit is extremely likely to lead to recession, and recession would do more harm to today’s young people than it would to any other age group, then young people (who, polling suggests, are already leaning heavily in favour of the Remain camp) have an even bigger incentive to back it. Could they have any reason not to? In a previous blog looking at the aspects of the Brexit debate which affect young people, IF considered the argument that a post-Brexit recession may benefit those who want to become first-time buyers if it leads to lower house prices, as some of the economic projections have suggested it would (including in a previous forecast from the IMF). Given that, at least in London and England’s South East, where a large amount of the pressure on house prices is a consequence of inflows of foreign capital, anything which makes Britain’s property market look less attractive to foreign investors would arguably be beneficial to young people. There is also the thorny issue of immigration. The research on whether high immigration holds back the earnings of low-income native-born workers (who are disproportionately likely to be youthful) is mixed, as is the evidence on whether inflows of foreign people (as distinct from foreign investment) are an important contributory factor in Britain’s housing crisis. Brexit supporters would probably argue that young people should benefit from lower immigration in the long term, as it would reduce the pressure on housing and jobs. So do young people have “most to lose” from Brexit? Ultimately they must decide for themselves – and make sure that they express their decision in their vote.